Jaydeep Steel is known to be one of the prominent Super Duplex Steel Pipes Suppliers. Super Duplex is a variety of stainless steel that is especially used in oil and gas companies. 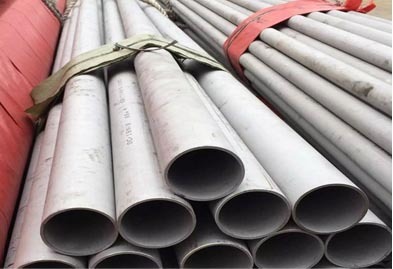 Super Duplex Steel Tubing has a high chromium and molybdenum content which provides them high tensile strength, superior resistance to pitting and crevice corrosion acids, high energy absorption ability, high thermal conductivity, etc. Our products like S32760 / 2207 Super Duplex Steel Pipes & Tubes have received high acclamation cause of their superior material, built, and cost-effective availability. Super Duplex Steel Seamless Pipes & Tubes are manufactured without any welding. They are used in oil and gas, refinery, petrochemical, chemical, fertilizer, power, automotive, bearing, and mechanical and structural. 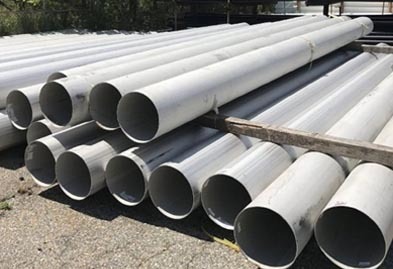 Super Duplex Steel Welded Pipes & Tubes are advantageous as the offer better tolerances, dimensional features, and superior resistivity to corrosion. They are extremely cost effective too and hence are used in many industries like dairy, pharmaceuticals, sugar industries, instrumentation, oil & gas refineries and many others. They are available in both round and square form. Super Duplex Cold Drawn Pipes & Tubes have the advantage of providing accurate size, smaller tolerance, good quality surface, superior finish, proper grain refinement thus better mechanical properties. Super Duplex Electropolished Pipes & Tubes can have either both inner and outer surface polished or just outer surface polished by annealing method, thus making them smooth and free from granules. At Jaydeep Steels, the Super Duplex tubes are available in different shapes like Round, Square, Rectangular, Hexagonal, Hollow, Oval etc. Get in touch with us today and avail a free estimate! Jaydeep Steels stocks a wide range of materials and grades. Below are a list of all standard super duplex steel pipes and tubes materials and grades we stock. Our experienced team of metal experts will get you the metal you need when you need it. Call us today for your Super Duplex Steel Pipe & Tube Needs!